Machine knitting is a great way to make knitted goods in a much more time efficient manner. Machine knitting can recreate many of the same knit looks that are so popular in hand knitting, such as cables and faire isle patterns. It is much faster than hand knitting, and having a knitting machine in your craft room can save you a lot of time and prove to be a valuable addition to your crafting tools. If you’re looking to save time and create beautiful knits at the same time, investing in a knitting machine may be right for you. You just need to know some important machine knitting techniques so that you can begin making even the most intricate patterns. 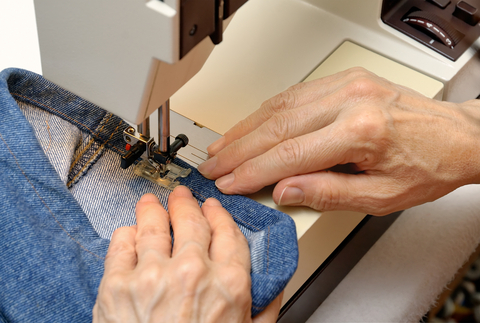 If you’re planning on using a seam or a hem on your knit goods, a cast on is not essential in machine knitting. However, a good cast on can make all the difference in your machine knitting. The best way to cast on with a knitting machine is the wrap cast-on, or E-wrap cast on. To do this, you simply wrap the yarn counterclockwise around the shaft of each needle individually. Once you’ve done this, you can thread your carriage and knit according to the pattern. Using the wrap cast on for your machine knit projects will make your garments hang better and give them a professionally finished look. After all, if you were going to take the time and effort to create a sweater to wear in public, wouldn’t it be better to have it look great? The wrap cast-on is a quick and easy way to improve the look of your entire garment. Whether you are knitting by hand or by machine, a gauge swatch is always an important first step. A gauge swatch can ensure that you get the proper tension and fit for your garment. This can be the difference between a sweater that fits and a sweater that looks like it was intended for someone twice your size. Swatches are really quick to make and can save you a lot of time in the end. To create a swatch, you simply knit a small square in the stitch pattern you intend to use in the garment. It might be a good idea to make several swatches using different tensions, and then wash them as you intend to wash the finished garment. This way you know which tension to use for your project to get the best fit in the end. Add ribbed borders to sweaters and other garments. Owning a knitting machine can be a great way to knit goods for your family, friends, or even for a business. You’ll find that purchasing a knitting machine can be a great investment and will save you a lot of time and energy. If you are interested in using a knitting machine, learning some important techniques and tips first can help increase your productivity and help you design more detailed patterns from the beginning. Many knitters that invest in a knitting machine find that this is a great way to produce garments that would have taken too long to knit by hand. If you’re just being introduced to machine knitting, these techniques can help you learn the correct way to use your machine. Warp knitting is a term used to describe a type of machine knitting used in the commercial knitting world. Although it is still considered a form of knitting, it is very difficult to do by hand; therefore the warp knitting fundamentals are not the same as the fundamentals of hand knitting. If you aren’t accustomed to knitting on a machine, the warp knitting fundamentals can seem rather confusing but really, it is a pretty straightforward technique. Warp knitting is a type of knitting done almost exclusively on a knitting machine, due to the fact that each needle requires its own thread, which can be very cumbersome during hand knitting. It creates parallel rows of stitches that are interlocked to form a knit fabric that is very elastic and flexible, making it a perfect fabric for women’s garments. Warp knitting is much faster than other types of machine knitting. In fact, it is considered the fastest method of producing bulk knitting fabric. The fall back is that it can only create fabric yardage, rather than fitted or shaped garments. The knitted fabric by the yard that you find in many craft stores is created using warp knitting. This is handy for those that would like to create a sweater out of knit fabric but cannot knit. With this fabric you can sew a sweater that looks knitted and can be washed in the washing machine without the risk of shrinkage. The downfall to warp knitting is that while it is fast, the fabric created from this technique can be fairly course and thick if you’re not careful, unlike other types of machine knitting where you can get smooth, elastic fabric with much better drape. Still, if time is of importance, warp knitting is ideal since you can create fabric in bulk. There are two main parts to a warp knitting structure. You first have the stitch itself, which is created similarly to a hand knit stitch, by wrapping yarn around the needle and then pulling a loop through an existing stitch. This wrapped yarn is called an overlap, which is an important aspect in warp knitting fundamentals. The second part to a warp knitting fabric is the under lap, which is the length of yarn linking together the stitches. The length of this under lap is dependent on how far apart the needles are on the machine. A short under lap creates less stability in the fabric, while long under lap creates more stability. However, this can also affect the fabric’s weight, since a longer under lap requires more yarn, which makes the finished fabric heavier and thicker. There are six fundamental stitches in warp knitting. 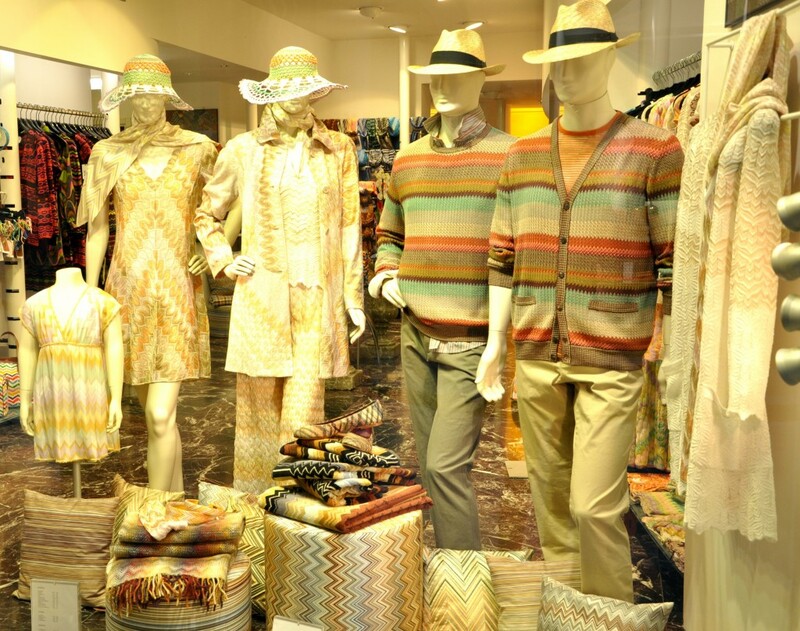 They are the tricot knit, Milanese knit, Simplex knit, Raschel knit, Ketten Raschel knit, and crochet knit. Each stitch is used for different garments and different looks. • Simplex knit, which is pretty thick and dense. • Ketten raschel knit, which creates a raised pattern on the fabric. • Crochet knit, which is the basic hand-crochet stitch. Machine knitting is a great way to quickly make fabrics that are more elastic and flexible than woven fabrics. This is great for fitted garments and garments that require a lot of drape. Things like women’s lingerie would be a lot different today if warp knitting fundamentals had not been discovered. By understanding the basic warp knitting fundamentals, you can understand more about the fabric you’re using, or even attempt machine knitting yourself. When you begin knitting, you soon realize that there is a whole new vocabulary to learn as you go, such as the different flat knitting definitions. Flat knitting is a term used in both hand knitting and industrial knitting to describe a common technique. Of course, depending on what type of knitting you perform, there are different flat knitting definitions. We’ll discuss the two most common definitions in this article in detail. In hand knitting, the term flat knitting refers to a piece of knitting that is turned periodically, usually every row. 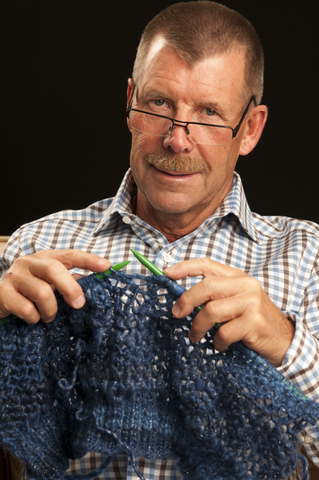 This technique is also sometimes referred to as back and forth knitting, which is a pretty self-explanatory name. It basically just means that at the end of each row, you turn your work and work backwards until you reach the starting point again. In other words, you work the piece back and forth. It can also refer to many other projects, depending on how they are made. For example, while a knit hat is a circular garment, it can be knit flat and then sewn up. Many beginner knitters do this before they feel practiced enough to knit in the round. Flat knitting is usually done on two straight needles, although some knitters prefer to work with one set of circular needles instead. The biggest advantage to using circular needles is that you don’t risk losing one of your needles, but it is also easier when working with a large piece of work such as an afghan since circular needles can hold more stitches. Regardless of your needle preference, the technique is still done by turning your work. The most common stitch in knitting is the stockinette stitch, where all of the little “v’s” are on one side of the fabric. While this is called a knitting stitch, it is actually a stitch combination, since you have to use two different stitches to create the look. These stitches are the knit stitch, and the purl stitch. When looking at the right side of your work, or the side that will face out and be seen, you will use the knit stitch, but once you turn your work, you must use a purl stitch for the next row, since that is basically a knit stitch performed backwards. This allows all of the “v’s” to line up on the right side of the fabric and all of the bumps to line up on the wrong side. This technique provides you with a smooth, elastic finished piece, such as the one commonly seen on sweaters and hats. While the term flat knitting is pretty self-explanatory when you look at it in terms of hand knitting, it holds a completely different meaning when you consider industrial knitting. Industrial knitting is the process of using knitting machines in order to mass-produce knit material and garments found in stores. 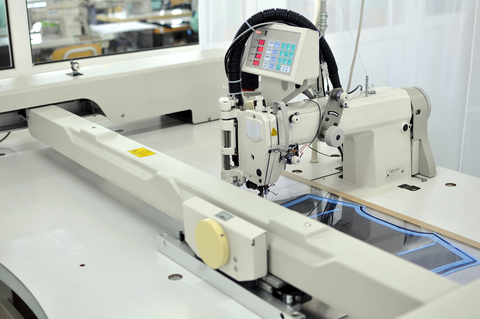 Flat knitting machines use two needle beds to quickly create complex designs and shaped garments for commercial use. Industrial flat knitting, also referred to as weft knitting, is slower than using a circular knitting machine, but the ability to create more complicated stitch patterns and fitted garments makes up for the lack of speed these machines use. • Flat knitting machines allow for many different yarns to be used. • Flat knitting machines are simple to supervise and operate. 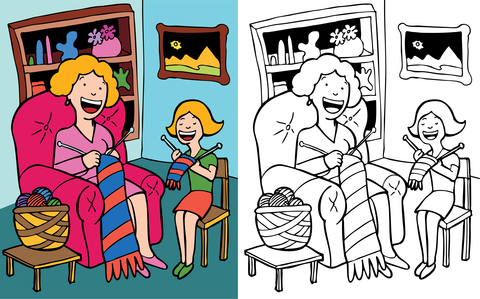 As you can see, flat knitting definitions vary depending on the technique you use. As an industrial knitter, using machinery to produce commercial knits, flat knitting refers to what sort of knitting machine is used and what sort of detail can go into your project. For the more common hand-knitter, flat knitting is just the basic knitting. By working back and forth across your rows of knitting, using knit and purl stitches, you can easily master the most common of flat knitting definitions. Weft and Warp knitting are technical terms that describe two different types of knitting used by either machine or hand. They refer to the widths and lengths of the thread and how many needles are used. Knitting is typically done by hand, although some machines are used today. These terms are technical terms mostly used when discussing machine knitting, although weft knitting can be done by hand, too. There are many differences between weft knitting and warp knitting, and since many knitters don’t commonly know these terms, we’ll discuss them here. There is a lot to learn about weft and warp knitting, so continue reading to expand your knowledge of the ancient art of knitting. Weft and warp knitting are completely different knitting techniques that result in two different types of fabrics. The most obvious difference in these two techniques is that weft is a yarn that runs back and forth, while warp is a yarn that runs up and down. Due to these different techniques, the finished product is entirely different, too. For example, weft knitting can produce shaped garments and highly drapeable fabrics while warp knitting produces only coarse yardage. 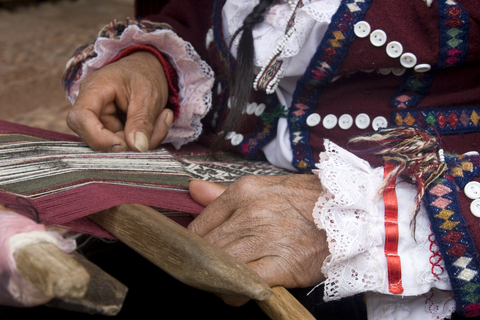 Weft knitting, which can be done by hand or machine, uses a continuous thread to form courses and loops in the fabric. This technique can produce either fabric yardage or shaped garments such as circular fabrics. Due to the fact that it uses one continuous thread to create a finished product, it is very hard to unravel and creates a very elastic and thin fabric. However, this fabric is more likely to shrink than fabric created using warp knitting, and needs to be washed and dried by hand rather than in a machine. 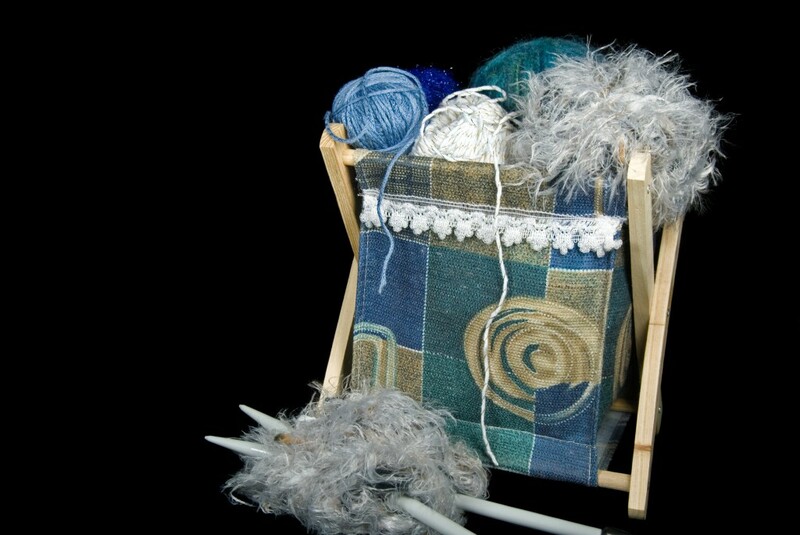 While weft knitting offers many more options in terms of finished products, the technique is generally more complicated and takes a longer time to complete. This knitting technique creates many of the classic knitting looks you’ve come to recognize, and is more likely used by hand knitters everywhere. On the other side of the knitting spectrum is warp knitting. Usually knitting machines are used for this technique. It is much simpler and faster than weft knitting, which makes it more likely for commercial knitting fabrics. Another advantage to warp knitting is that the finished fabric can be washed in a machine with much less risk of shrinkage. Unlike with weft knitting, each needle on a knitting machine uses it’s own loop of yarn to form parallel rows. These rows and loops are interlocked to form fabric like the knitted fabrics you can find in stores. Due to the restrictions of this technique, warp knitting is only used for fabric yardage rather than shaped and fitted garments. Very large widths of fabric can be created using warp knitting. In addition, the fabrics are generally coarse, and thicker than those produced using weft knitting. • Tricot knit, which is soft and less prone to wrinkles. • Milanese knit, which can be recognized by the rib pattern on the face. 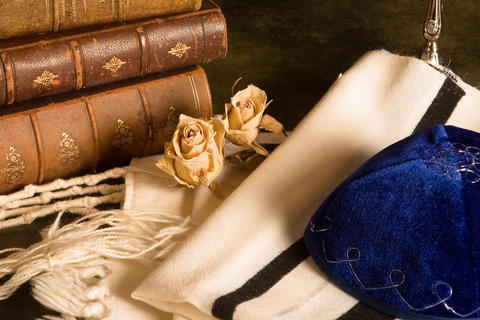 • Raschel knit, which creates nets, veils, and lace. While these terms are most commonly used to refer to machine knit fabrics, warp and weft knitting can be used to describe some hand-knit pieces as well. In fact, as mentioned above, weft knitting can be done by either machine or hand. Knowing these terms can help you choose which techniques you need to use for your project, since they result in entirely different fabrics. If you are looking for a thinner, more elastic fabric, or need to shape your project as you go, weft knitting is the way to go. However, if it is more important to you to have a fabric that can go in the washing machine, warp knitting will give you the finished product you are looking for. Whichever way you go, it is important to know the differences between weft and warp knitting if you are creating commercial knitting fabrics.